We offer nationwide Canon copier leasing and Canon copier repair service. Recently we expanded to the largest city in the US (New York, New York, Manhattan) Most of our high volume customers in the NYC and New Jersey area are used to seeing very high prices for leases or repair. Historically, most copier leasing companies do not have prices available online and this make it very difficult to compare rates and lease pricing. Now you can generate your own quote and stay within your office budget. We have techs that specialize in the most popular Canon copier models like the Imagerunner Advance series. Working with certified Canon Techs is especially important when it comes to servicing your copier. Canon copiers are very unique to most other copiers. They are well engineered to exceed high performance imaging, printing, and copying needs of their customers. That’s great when it comes to high quality prints, However this is in many cases a double edge sword. 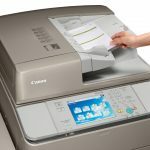 Canon IR Advance copiers are unique enough to have fewer aftermarket parts and are at times over engineered. So a minor fix might cost hundreds and even thousands for parts and labor. When properly maintained it’s almost impossible to beat these copiers. We are the best copier repair in Miami.